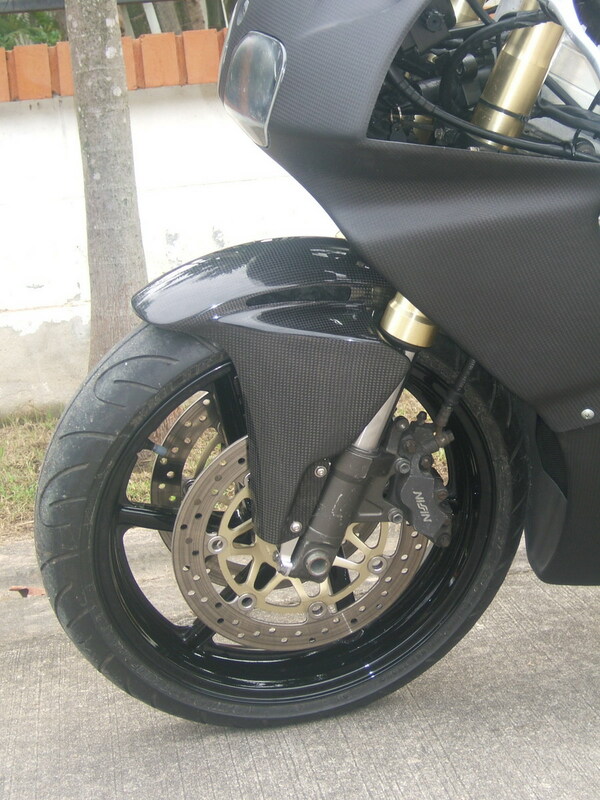 Here are pictures of our first venture involving complete bodywork in carbon. 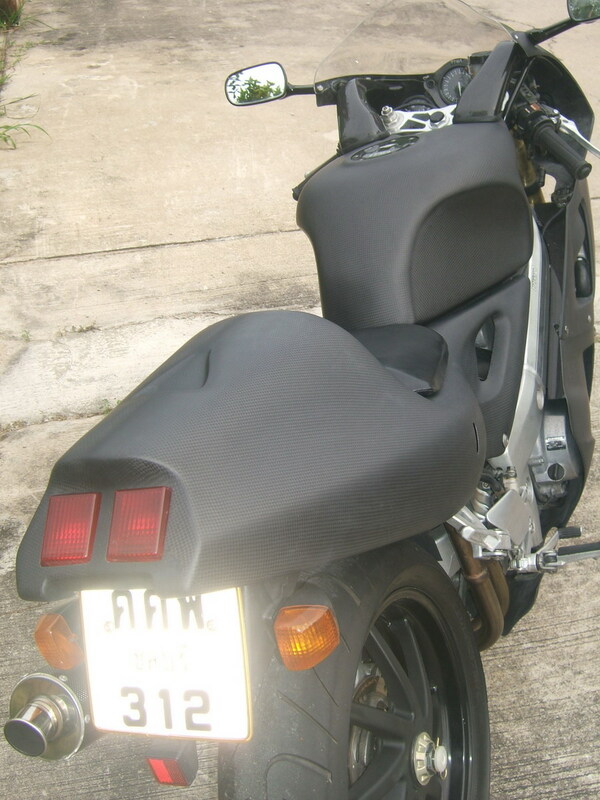 We selected the popular NC35 and made bodywork to the same shape as the Honda OEM bodywork for the 'purists' out there. There are differences between this and stock panels of course, the seat cowling is a single seat type and styled on the RC45. 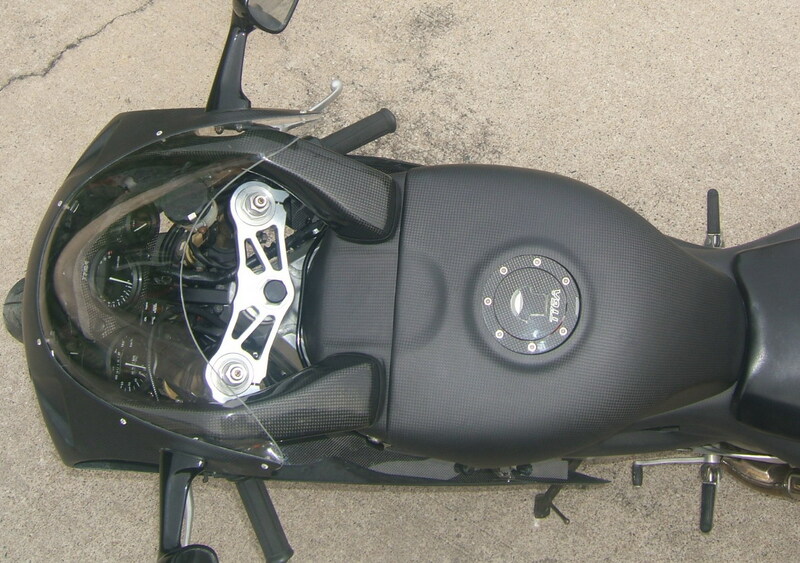 The lower and upper fairing are in one piece for ease of manufacture and strength. 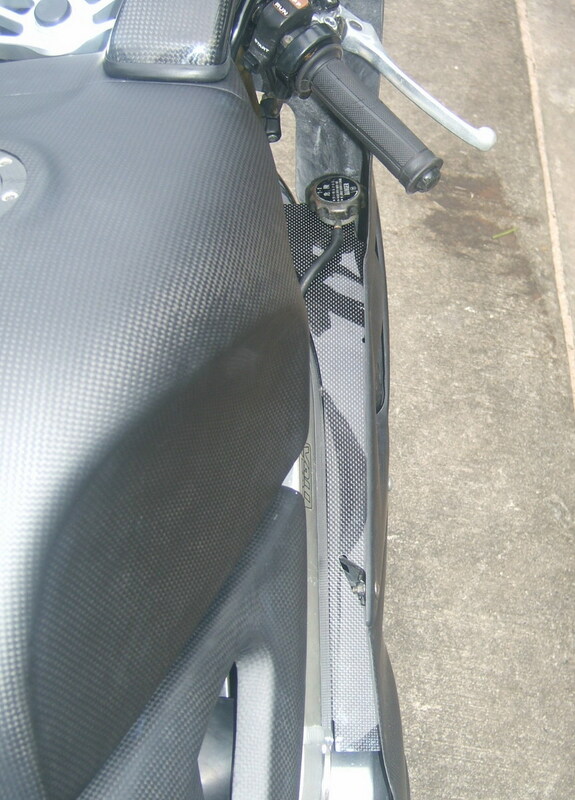 The screen is double bubble and the bike features a sports front fender in gloss carbon. The bike would look a bit strange with carbon bodywork and an unpainted fuel tank so the bike features a carbon tank cover in two pieces. The front original plastic piece is replicated in carbon and the rear part of the tank we have made a special snug fitting carbon cover. 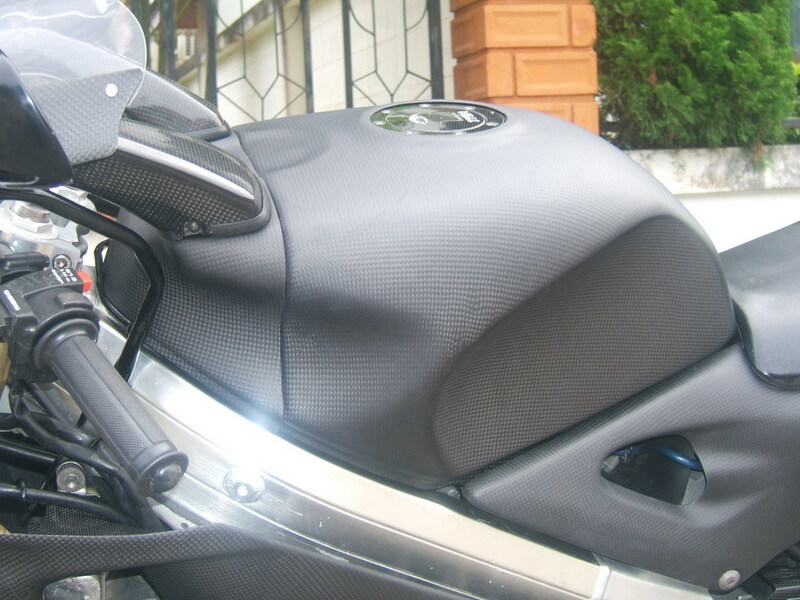 This means that the carbon transformation of the paintwork is complete, and in the case where the bike is accident damaged, as long as the tank is in reasonable shape, the bike can be restored in hours instead of days or weeks waiting for paintwork. The tank cover can be fitted and removed in minutes. 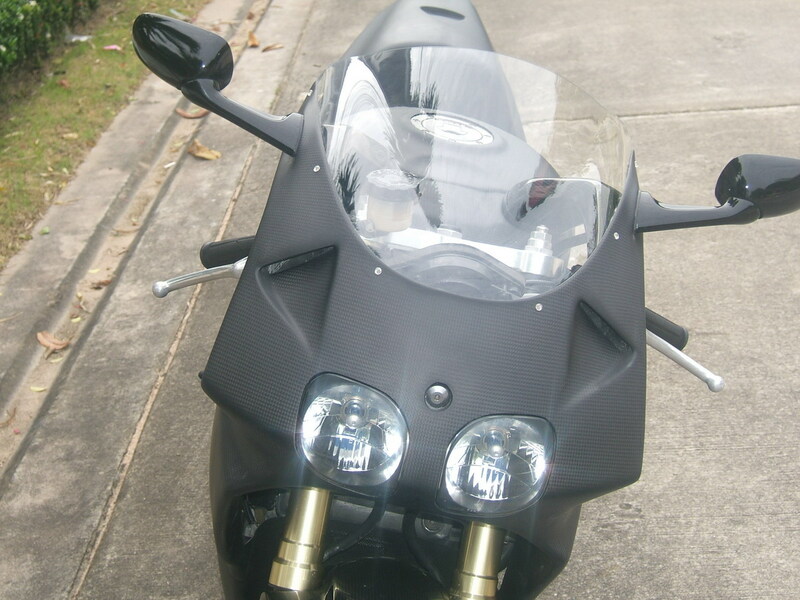 This particular bike was nothing special before it had the carbon treatment done. Actually I had just completed a pleasurable 1000 km. road test along the Thai- Burmese border prior to the bodywork being installed and is pretty much stock. Those with a good eye will spot it even still has passenger foot pegs fitted. We are just using it as a test mule and later we will build a much higher spec bike with as many of our goodies on it as possible. 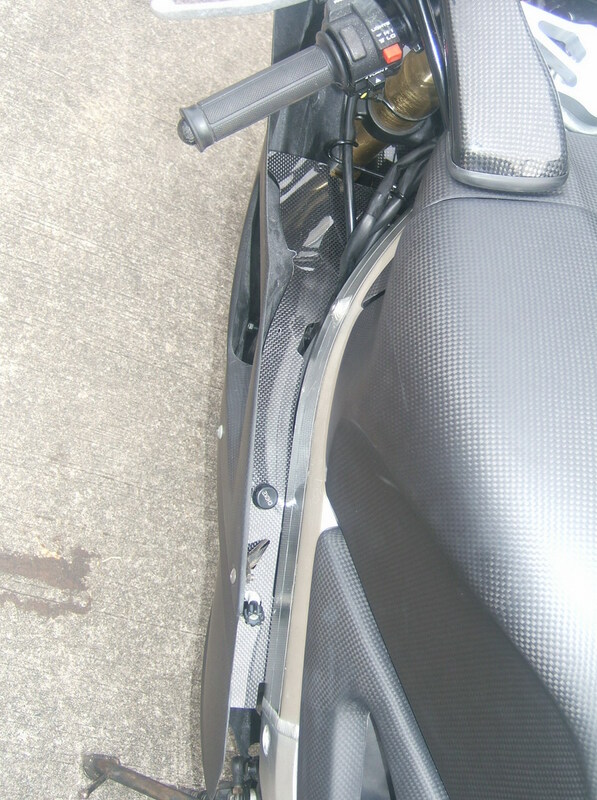 While we were putting the carbon bodywork on, we treated the RVF to a few other carbon bits and pieces. The main bodywork is in matt finish and is highlighted by gloss carbon tank filler cap, frame in fills, instrument surround and air tubes. You might have spotted the CNC top triple clamp which is another one of the many products we will be launching soon. 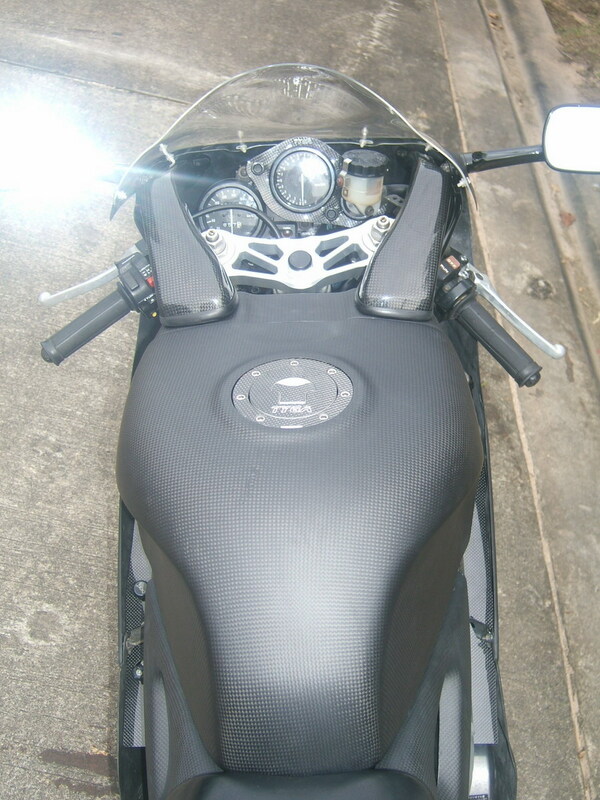 Watch this space for the finished bike, in the meantime, let us know what you think of the carbon bodywork idea.